I am flustered. I am going to hold my first village meeting, talking to women from a self-help group, and I am terribly anxious. I look around at the circle of women sitting with me; they are honest-faced and clear-eyed. I give them a watery smile. The President of the group smiles back at me, her nose pin twinkling in the summer sun. I close my eyes and breathe deeply. 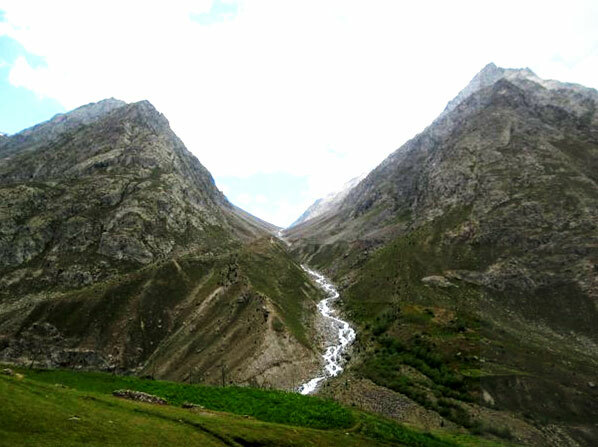 I am in Nuker, a tiny village in Lahaul. When one looks beyond the Kullu-Manalis and Shimlas, Himachal Pradesh morphs into a collage of striking beauty, from Kinnaur in the east which is India’s apple-basket, to Spiti in the north, a cold desert akin to Ladakh. 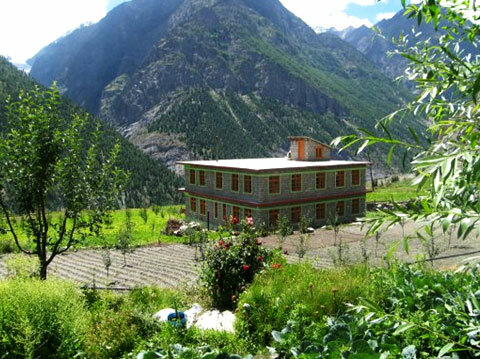 In the upper reaches of Himachal, nestled against Spiti, lies Lahaul. Himachal Pradesh is also one of the stars in the unfortunately dark tapestry that is the Indian countryside. Replete with extraordinary natural beauty and warm kindhearted people, it holds a special place among my travels. A Lahauli House. Photograph by Chandni Singh. I open my eyes and see the Himalayas surround me tall and proud, snow-tipped and stern against the unbelievably blue sky. Small glaciers have melted down the mountains and I can hear the Bhaga River roar below, in its quest to meet Chandra, to become the mighty Chandrabhaga downstream. 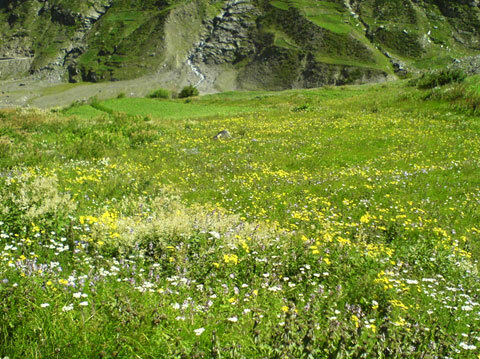 The air is crisp and gently flavoured with the fragrance of summer: wild daisies and fresh grass. Tentatively, I begin the meeting in halting, carefully chosen words. I ask how the group has been functioning. How are those plants that they had sown last winter? Did they manage to open a bank account as they had hoped to a few months ago? Were all the members contributing to the fund? What hurdles were they facing? Before my questions end, the women take over. “The potato crop has been good this year, so we figured we can save some more money. We have decided to increase the money contributed per person from Rs. 30 to Rs. 50,” says Laxmi. “It’s better than letting the men spend the money, you know how they are,” she adds conspiratorially. She is referring to Inula racemosa, a plant found growing naturally in the western Himalayas at high altitudes (2600-4000 metres). The roots of the Inula plant have medicinal properties and are used in Ayurvedic preparations. 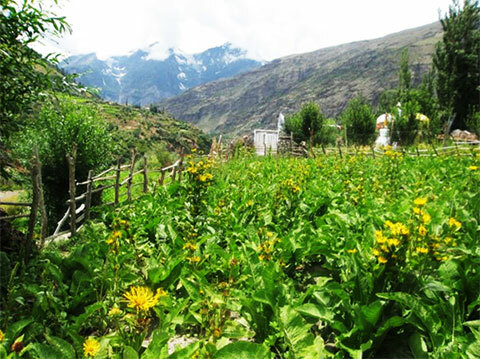 Owing to the high price the roots command in the market, and the optimal growth conditions found in Lahaul, Inula is being promoted by local N.G.O.s as a potential source of additional income for Lahauli farmers. The women’s group is one of many that manages Inula ‘kitchen gardens’, little patches of land in their backyard on which they grow the herbs to sell at the group level. 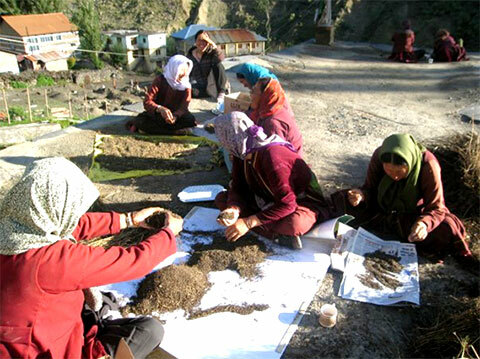 The roots take three years to mature and develop medicinal properties so it is a time-intensive enterprise but the women are upbeat and willing to try something new. I find this refreshing and quite characteristic of the Lahauli spirit. The women of Lahaul. Photograph by Nabila. Dehchen complains about the bank official taking too much time to open their account, “Didi, he is from below, so he thought he could fool me. He doesn’t know I completed my first year B.A.” I smiled at her referring to those from the plains as from ‘below’ and reflected that she wasn’t very wrong in her generalisation. Like other development indicators, literacy rates and levels of higher education in Himachal are higher than the national average and finding an articulate, educated woman is not as difficult as it may be in some rural districts of the country. Himachali women are a refreshing change from those I have encountered in the northern plains of rural India. 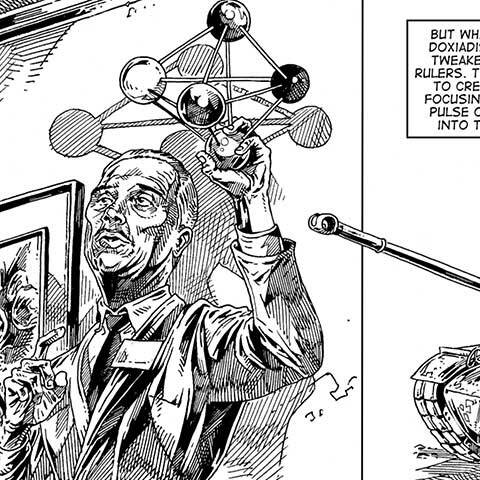 Unfettered by the purdah, they look you in the eye. Conscious of their crucial role in running the house and tending to the farm, they are not afraid to speak in front of their men. Hardworking and strong, they enjoy their festivals with much fervour; and glugging down a cup of chhaang, the pungent alcoholic wheat/rice-brew is not uncommon for a woman in Lahaul. The younger members of the group take time to open up and one of them shyly eyes the tassels on my dupatta as she serves me tea. I look into her eyes and realise she is nervous too, both of us drawing solace in the knowledge of the other’s discomfort. The meeting is drawing to a close and I breathe more comfortably. The women get up and make their way to their homes. They have extracted from me a promise to visit them again. I am almost eager in my affirmative reply. I walk to the meadow nearby and lie in the grass, face down. The grass tickles my face and I feel the sun warm my back. I sigh. I have just completed my first village meeting and it wasn’t too bad. ‘Courting the Countryside’ is a column that peeps into Chandni’s travels across the Indian countryside and the stories she has found there. Her experiences range from her work with Pragya, an N.G.O. working toward sustainable and inclusive development of mountain communities, and her annual trips to her ancestral village near Mathura. You have a gift. It is neither an exaggeration, nor an understatement.